Inbound marketing is advertising through online platforms such as blogs, podcasts, social media, and other similar avenues. In contrast to outbound marketing, inbound marketing is about being where your customers can find you which are primarily in the Web. It is about providing relevant content that is helpful to your users. Inbound marketing is a mutually beneficial relationship. Your customers patronize you because you also provide something useful for them other than your products. Outbound marketing is all about billboards, commercials, phone calls, and other traditional advertisements. With a lot of people using smart phones, mobile devices have now become one of the major website access points. This is a great platform for inbound marketing. Here are three ways you can leverage inbound marketing for mobile devices. Create mobile version of your site. If you want to be found, the first thing you need to do is make a mobile version of your company website. This will make it easy and fast for mobile users to access your site. Full websites take a long time to load and mobile users do not have the leisure of waiting. This is the reason why mobile versions are being done by almost all companies. The NBA.com website is one of the most high-traffic sites in the Web. Its mobile site contains the schedule, scores, and headlines that basketball aficionados can also find in a full website. If you create one for your site, you can attract more site visitors. Just make sure that you have all the relevant information there. Make mobile apps. Smart phone users are also mobile app enthusiasts. Once a mobile app becomes a hit, it is downloaded by millions of users. Create an app for your company that showcases your products or other features related to it. Most users prefer social media, games, and other interests in app form. Apps make them feel secure since it is installed in their mobile phone already and the possibility of interruption rarely or doesn’t happen at all. Create a mobile app that is fun for your users without doing a hard sell of your products. This form of inbound marketing may be indirect strengthens your brand further. Do mobile promos. The great thing about mobile promos is that it is non-intrusive. Compared to home calls and visits, receiving updates in one’s mobile phone can get the attention of your target market more effectively. Mobile messages and promos can immediately be read by your customers. They have the option to participate if you make it easy and simple for them. They can also get their rewards easily and present your message in your stores or use codes to redeem prizes online. You can also send text blasts containing the release of your latest product or details of your upcoming events. It is also another avenue to promote your latest website offerings. Since most users have internet connection already they can check it immediately. When you go mobile in your inbound marketing, it shows that you can adapt to the ever evolving lifestyle of your target market. You also convey that you know the needs of users by modifying your site, apps, and promos to their advantage. Inbound marketing is all about drawing your customers to you and allowing them to find you. 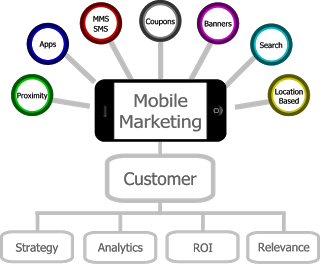 The mobile world is one of the best platforms you can leverage your inbound marketing. With the rise of mobile devices that allows users to do practically everything, the need to be present in the online mobile world is becoming a necessity for companies. It’s not just trees that are dwindling, research shows that our attention span is diminishing as well. Hence, let’s introduce two entities that are perfect for each other. “Short Attention Span”, meet the “Vine App”. In January 2013, Twitter launched its new mobile integrated app called, the “Vine”. It is a new way of sharing video content because, well you only get to share 6 seconds, and it has a quasi GIF format because it is a loop video. Yes, 6 seconds is all you get to catch the attention of a potential client. When you see how much people are biting into the Instagram fever, you realize one thing: we live in the visual age. As telemarketers, we have to jump at every opportunity that social media marketing has to offer. 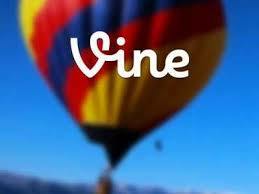 We’ve got Facebook, Twitter, Google+, Instagram and now we have “Vine”. So how can you attract your audience in 6 seconds? Here are 8 ways to help you. Curiosity killed the cat. Curiosity led Pandora to open that infamous box. No doubt about it, curiosity gets the better of people. So, use that to your advantage. Take that 6 seconds you have to catch their precious attention and then leave them hanging in the end. Nothing draws people in, more than curiosity so shroud your product/service is delightful mystery in your video then draw them in to your site which has all the answers they were looking for. The reason why we love Instagram is because we hate text. The reason why Twitter has a maximum of 140 character limit is because too much text annoys people, we don’t like to read too much stuff. However, valuable information is always captured in text, which sadly, we don’t like to read. To strike a balance between rich information and visual interpretation, make infographics. Infographics are super trendy because you can understand heavy information in a flash. People love infographics so really take time in mastering this art. Admittedly, 6 seconds is not enough. If you want to show much in this little amount of time, creating a time lapse video is your best option. For example, make a time lapse of how your product is created. Make a Vine version of Discovery Channel’s “How They Do It”. People appreciate it when they see the process of how things are made. Humanize your product or service by chronicling a day in the office. Of course, you may have to exaggerate a bit, because nobody wants to watch you sit in front of a computer for 6 seconds. Highlight interesting moments and events. Show how everybody is passionate about what they’re doing and that they are the best at what they do. Just as laughs are contagious, so are funny content. Put that whiplash humor into good use and lure your clients in by showing the light side of things. People are under a lot of stress, it’s good if you can find something about your product/service that can make people happy… literally. Appeal to the emotion. Just as curiosity is one of the best bait, so is emotional content. If you were a recreational store, ask people to post their 6 seconds of bliss in camping, fishing, biking, hiking etc. Create campaigns that will move people to share their stories of triumph and defeat. These kinds of content can even go viral which will help you reap bountifully. Sharing your Vine videos on Facebook is now possible, and Vine is working to make your videos shareable on multiple social media sites. So don’t forget to share your quirky videos in Facebook to lure the billions of Facebook users into your site. I don’t have to say be unique. That should always be a given whenever you want to succeed in marketing. But devote much time and effort to quality rather than quantity. Hopefully then, the Vine’s Editors will spot your video and include it in their Editor’s Picks list. Making it on the list will definitely thrust your views and increase your visibility in the market. The Vine app can broaden your inbound marketing reaches. However, you will not be the only one using this tool to your advantage. Remember that you must offer excellent visual content that is clear and concise to make the Vine app work wonders for your business.